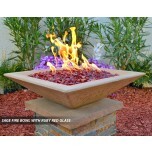 Concrete Fire Bowls by Backyard Blaze offers a wide selection of Outdoor Fire Bowls. 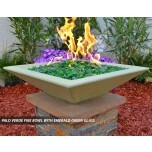 Quality Crafted low profile Concrete Fire Bowls will enhance any part of your Backyard Landscape. 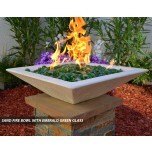 Select from a Sand Blasted Finish or a Smooth Finish, either way you will be satisfied with your choice. 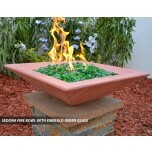 Concrete Fire Bowls are available in many colors. 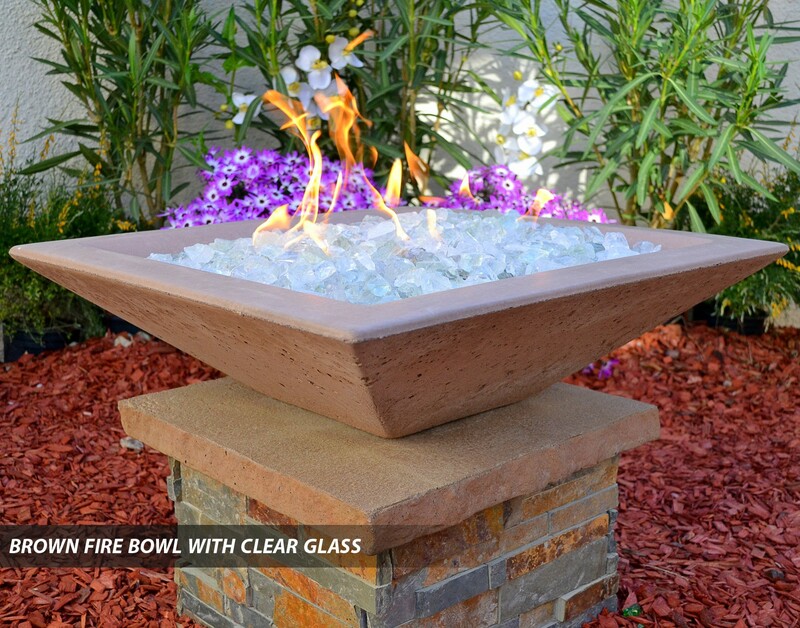 Add our Automated Remote Fire System (AWEIS-1) to create that one of a kind Remote Controlled Fire Feature in your Backyard. Do the Bowls have a hole on the bottom for gas or plumbing? Yes. 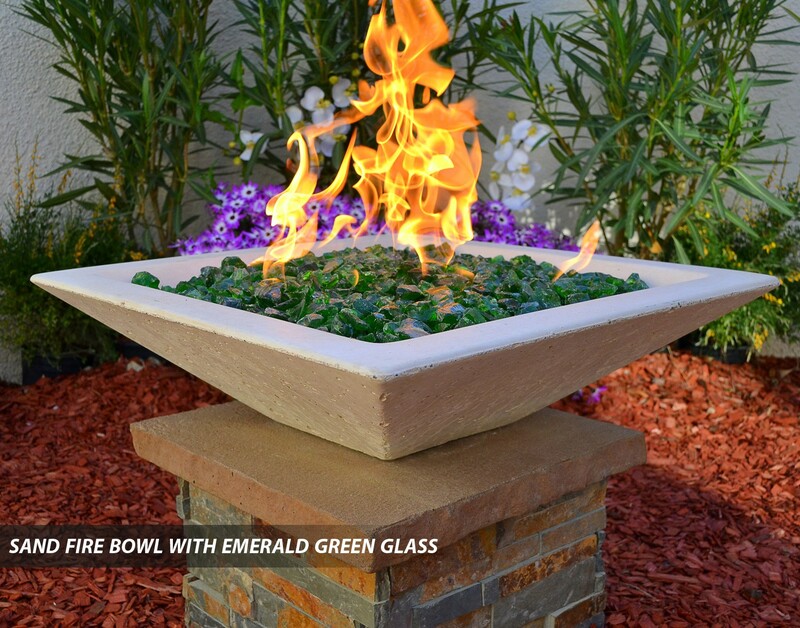 All Bowls come with a 1 1/2'' Hole core ready for installation. 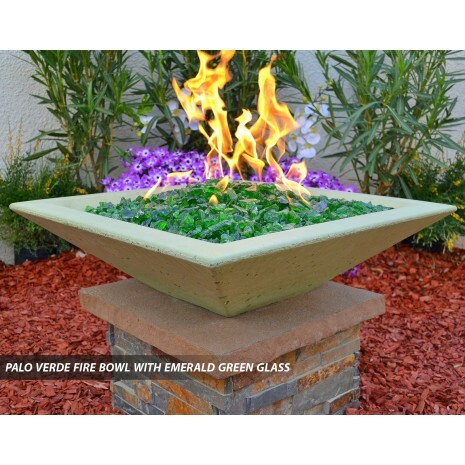 Can the Bowls be used with Propane or Natural Gas? Yes. The bowls do not play any part as a Bowl is just a bowl. 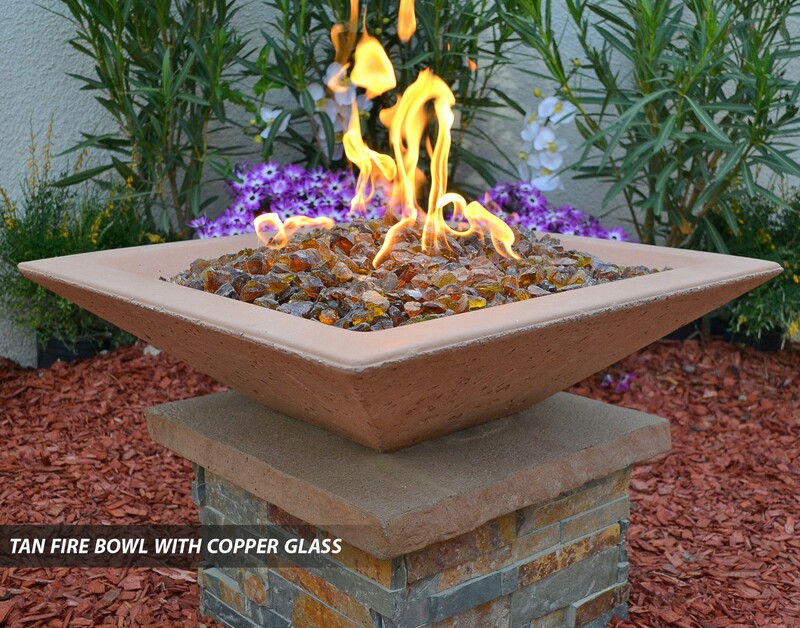 Though if you use a Propane Fire Ring you will need a Air Mixer to lean out the Gas as Liquid Propane is heavier than Natural Gas and will give off a Black Soot without a Air Mixer. 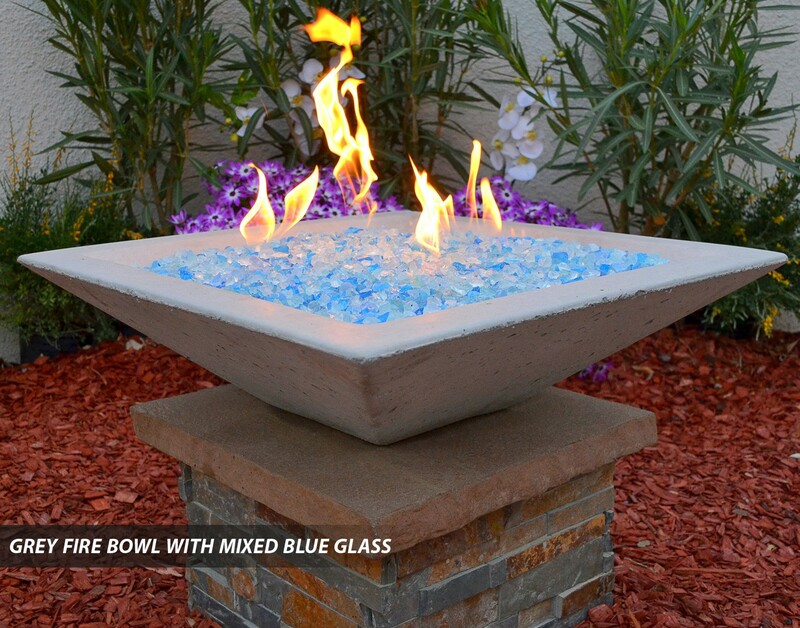 Can we order the bowls in any color? Yes. All of our bowls are offered with your choice of color shown below. What is the Delivery time? Usually around 3 weeks is what we strive for. Though depending on production and Curing time this may be altered a little. Are there any limitations to where I can place these bowls? No. 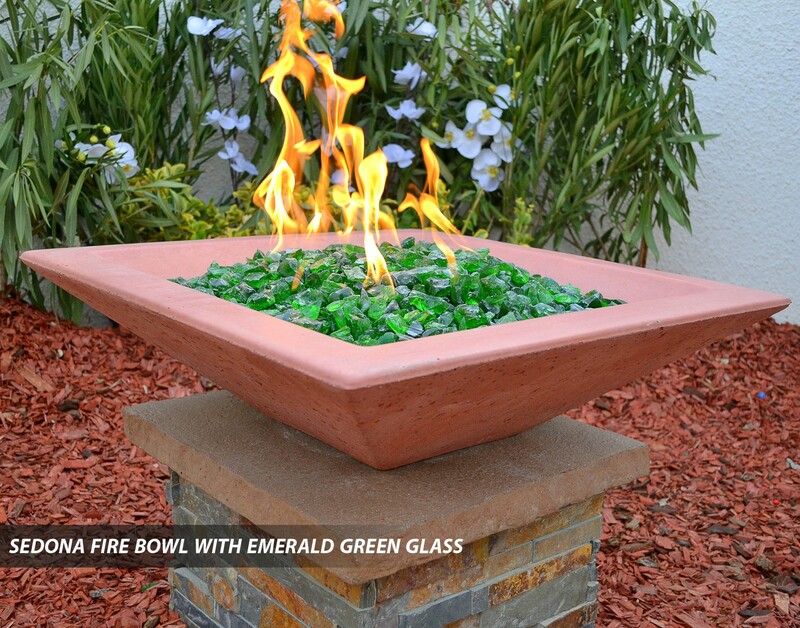 These bowls add a great value around your landscape and will only create a dazzle where ever you use them. Do the Bowls have a drain for water? 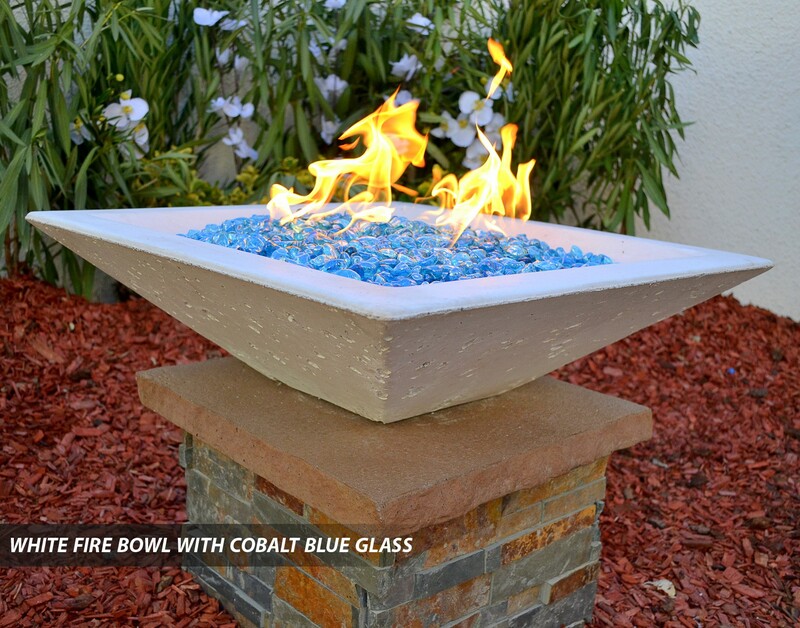 All the bowls come with a hole cored for plumbing of Gas or Water. This can also be used for a drain port as well. 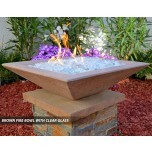 What Size Fire Ring should I use? We have sized the appropriate Fire Ring for you above. 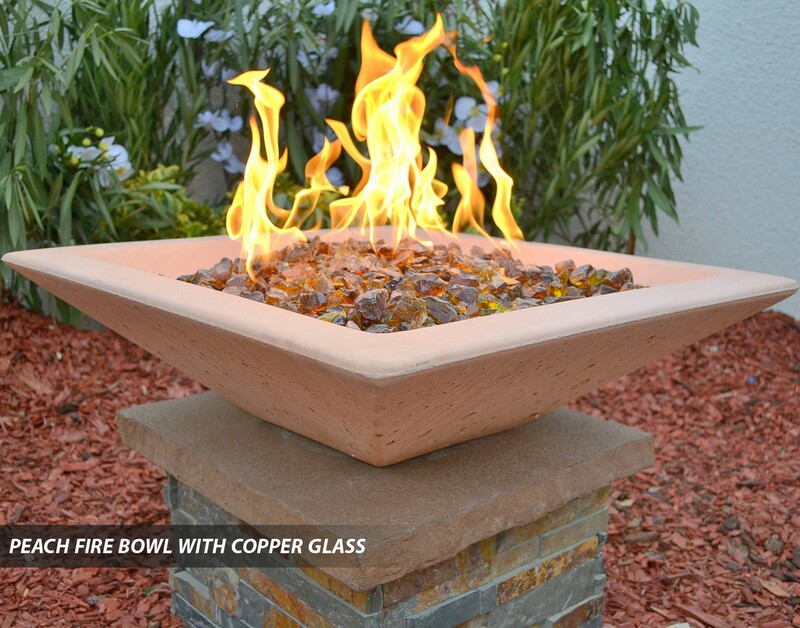 Though a good rule of thumb is to have around 4'' to 6'' of clearance from the bowls inside lip to the Fire Ring. What do I use to fill the bowl with? 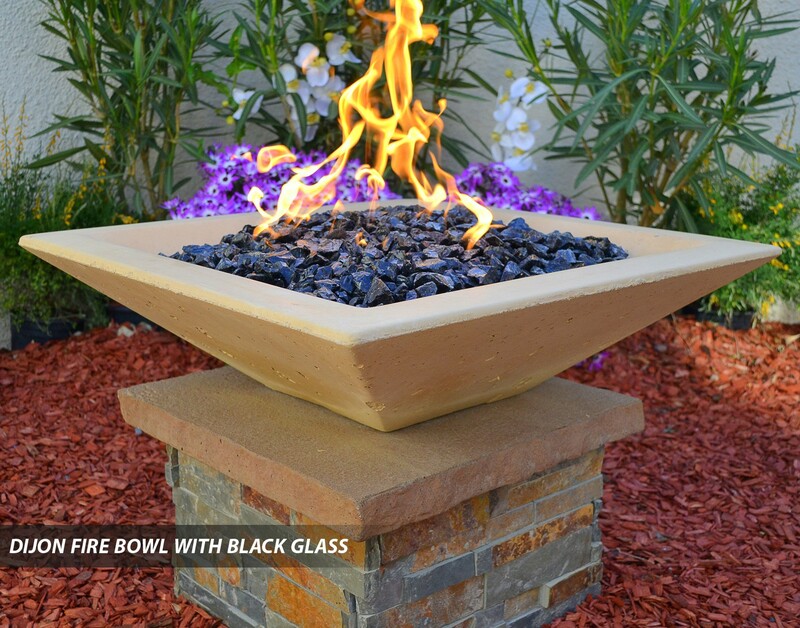 There are only a few products that should be used to fill your Fire Bowl. 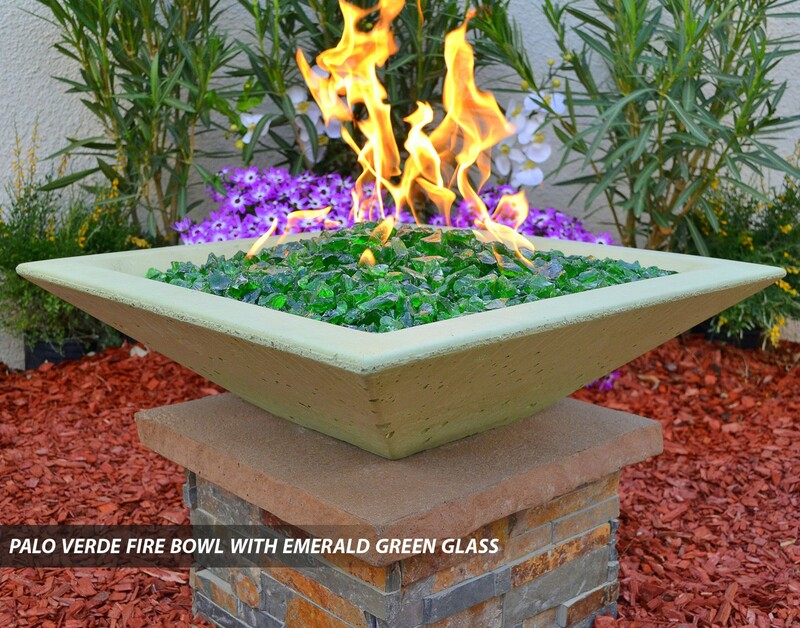 You can use Pee Gravel to fill the lower part of the bowl below the Fire Ring. 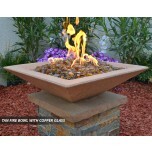 Anything above the Fire Ring needs to be Fire Rated. 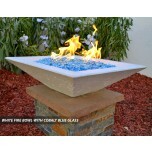 Fire Glass, Fire Rocks (Ceramic) Fire Log Set (Ceramic) Lava Rock. Do not use anything of Natural Stone as this could cause damage to you or your property. 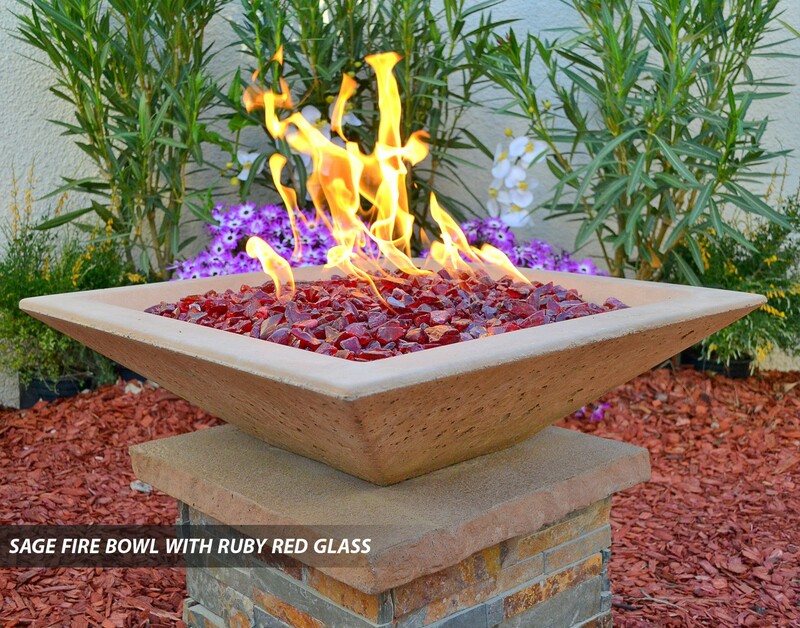 Can I use Fire Wood in my Fire Bowl?NO. 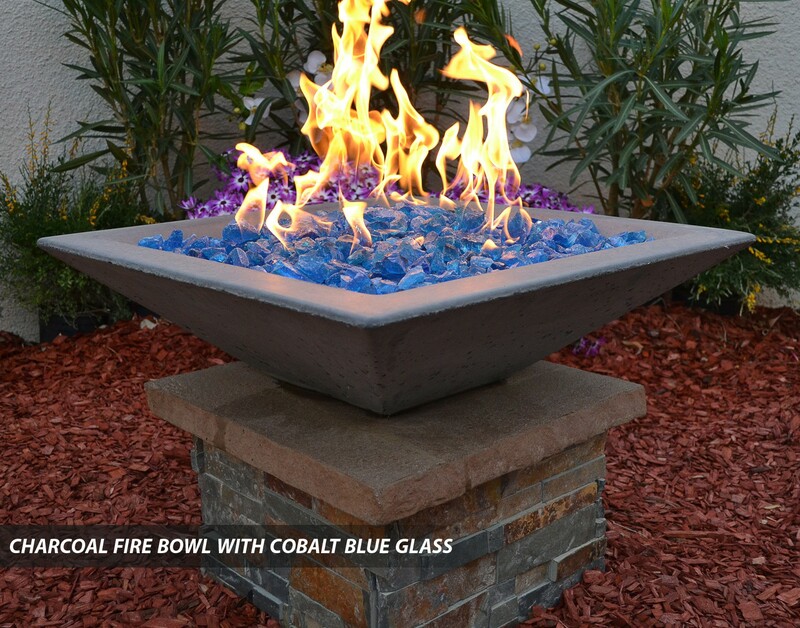 Any direct heat from any flame will crack any Concrete Bowl. 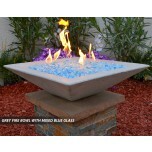 We specialize in designing your Fire Bowl to handle the Fire we design. What is the cost to ship? 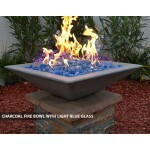 Due to so many variables as to where you live, How many Bowls are you wanting, What size of bowl are you looking at. 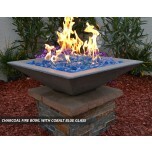 We feel it is best for you to contact our office so we may assist you with a correct price on shipping. How high does the Flame get? 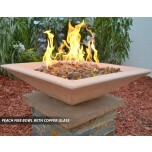 Depending on the size of Fire Ring you order though most safe flames are around 15'' to 20'' High. Do I need a Stainless Steel Burner Kit Pan to sit inside of the bowl? No. Other companies would possibly sell you on needing one but you don't ! 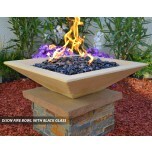 We assist you in designing a safe and cost effective Outdoor Fire Feature without any up sells. How are the Bowls Measured? All the Bowls Dimensions are from Outside to Outside Measurements. The Bowls are about 2'' Thick. We hope this answers some of the questions we find most of our customers ask. If you have a question of your own please feel free to contact us 7 days a week as we are always here to assist you. STOCK# TOP DIA. HEIGHT BASE DIA.